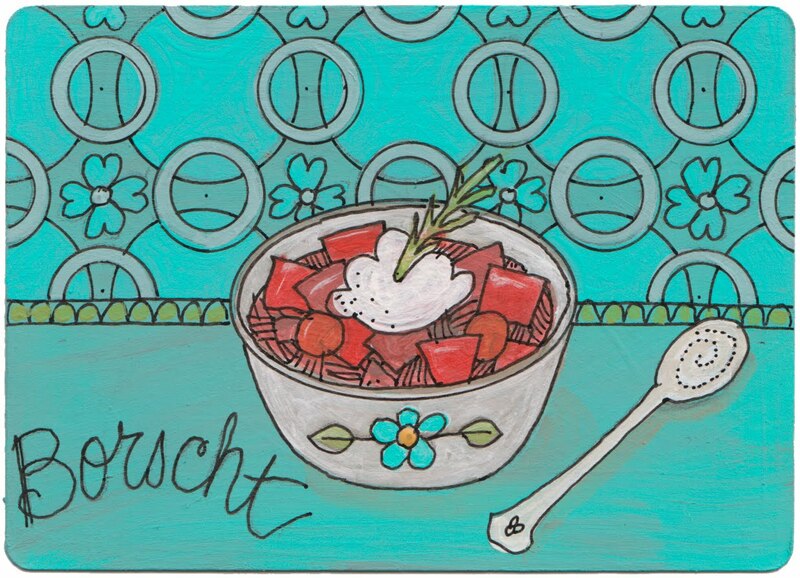 This weekend we'll be heading to the farmer's market...and another one of Lisa Orgler's drawings of my Prairie Story food reminded me to be sure to pick up some beets and all the other garden fresh veggies to make some of my Borscht. I love the Lunch Box Project...and this picture is adorable. I'm in the mood for borscht now!